So here I am trying to think up something to write about and coming up with pretty much nothing. Brain-drag: A heavy tiredness; like marching with your gumboots full of water. Sure, I can take a nap. In fact I insist I do. It helps for a while, but before long the tiredness slithers back in. I swear I feel the fuzzy mold spores spreading over my brain as it does. I know part of the tiredness comes from watching Mom grow a wee bit more weary each day. She’s 92 and she’s not going to live forever so I can’t help but be on alert. Each morning begins by standing outside her door. I need to hear her soft breathing before I let anything else into my day. If it’s a good day, she’s snoring like a dainty logger and I can move away smiling. If I don’t hear anything, tension sits on the shoulders until I do. The rest of the day Man-wonder and I both have one ear and half of our nervous systems following her around. So, yeah, that is wearing. But, it’s also life. Another reason is the grey of winter (and whoo hoo—Spring has sprung). Winters around here tend to be grey and normally we up our Vitamin D supplement and chug through. This year was tougher since we’ve had to deal with half the normal amount of sunshine and no snow to whitewash anything. Lots and lots of soul-sucking grey with a big lack of yellow . . . Wait! There was some yellow but only noticable if we were to turn ourselves inside out. Yes, I’m talking about the winter gathering of fat cells. And, as everyone knows, fat thinks its an adhesive. Hell, if they could make duct tape with half the sticking power of body fat . 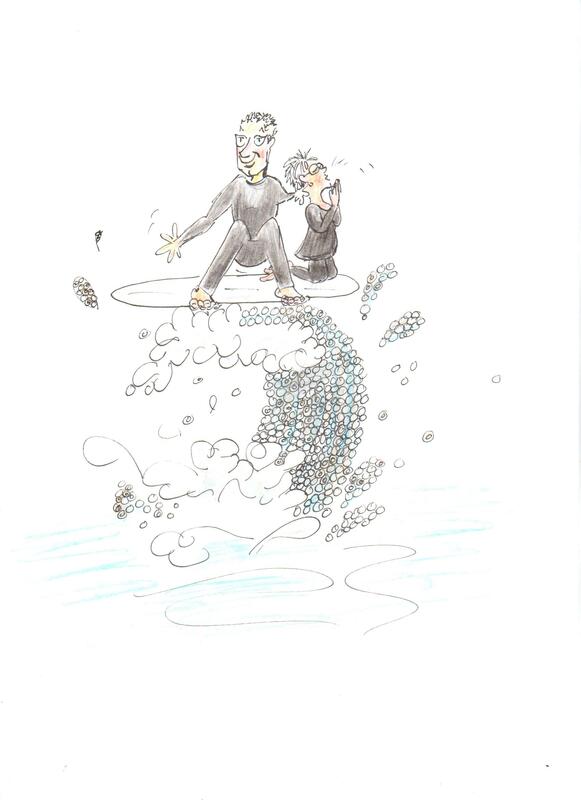 . . Man-wonder and I would be surfing over waves made from loonies and toonies. But we aren’t, so I need to look elsewhere for hope and cheer—like the pre-season dragging out of the wooden summer chairs. Can there be anything as cheerful as sitting inside and watching the rains wash the chairs shiny clean and knowing, one day soon, we’ll be sitting in them. Better yet—the knowledge that those chairs are just a heartbeat away from the official hanging up of the hammock. Under a tree. Oh, yeah! I feel better already.